Pomegranate is a colourful fruit loaded with nutrients. It is sometimes called ‘Chinese apple’. Pomegranate juice contains more than 100 phytochemicals and is super beneficial for growing kids and new mums. The bright colour of the pomegranate seeds comes from polyphenols. These substances are rich in antioxidants. They help in removing free radicals from our body, thus reducing cell damage. It helps in decreasing gut inflammation and hence, smoothens the digestion process. It is helpful for those of you suffering from ulcerative colitis and other inflammatory bowel issues. Pomegranate juice is loaded with antioxidants. This helps in bringing down inflammation in our entire body, reduces tissue damage, and oxidative stress. Pomegranates are packed with essential nutrients. They contain fibre, folate, Vitamin C, Vitamin K and potassium. Regular intake of pomegranate juice is known to reduce blood pressure. This is helpful in case of hypertension and heart attacks. Punicic acid (found in pomegranate seeds) helps in regulating healthy heart functioning. This juice also improves the overall cholesterol profile in your body. The pomegranate extract would be useful in stopping the growth of breast cancer cells. Being rich in Vitamin C, they give a boost to your skin’s overall health. The flavonoids and antioxidants delay the process of ageing (wrinkles). Pomegranate face packs are used for treating pigmentation and skin brightening. The antioxidants in them help in healing acne and resultant skin inflammation. You can treat eczema and psoriasis by pomegranate seed oil. It also enhances the skin’s ability to protect itself in harsh sun. Seeds of pomegranate play a preventive role in obesity. Polyphenols , a type of antioxidant found in pomegranate are known to suppress appetite naturally. It is a healthy alternative to many sugar laden beverages. Sugar gives us excess calories which are not required for running your body. These excess calories get stored as fat. Fat burning substances like polyphenols and conjugated linolenic acid are present in pomegranates. They increase your metabolic rate. The expecting mothers require a good percentage of vitamins and minerals in their diet. Pomegranates are rich in potassium, Vitamin C and folate. The anti-oxidant, Vitamin C, helps in absorption of iron in mother’s body. Iron helps in making extra blood to meet the requirements of both you and your baby during pregnancy. Elevated oxidative stress during pregnancy leads to high blood pressure and other placental problems. High blood pressure accompanied with protein in urine are symptoms of preeclampsia. Pomegranate juice helps in preventing preeclampsia. Placental problems can lead to lower weight in babies and premature birth. Pomegranate juice which is rich in antioxidants can arrest the free radicals and assist in reducing the placental problems. Pomegranate fruit and its juice both enhance the flow of blood in your body. The high iron content in the juice helps in minimizing anaemia during pregnancy. When you eat pomegranate , you get good amount of fibre. During pregnancy, it is useful as the fibre stimulates the bowel movements. By doing so, you can keep constipation and other digestive problems at bay. Also read: Are Strawberries Safe For Babies? During pregnancy, you may experience pregnancy-related cramps in your body. 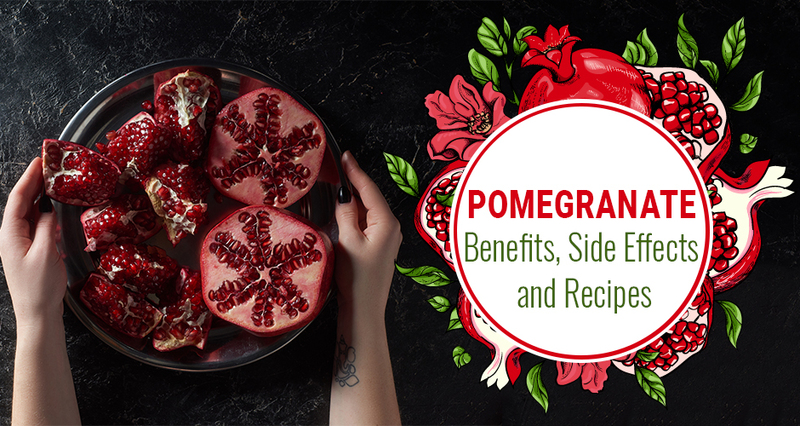 By regular consumption of pomegranate, you can significantly decrease these cramps. Pomegranate is rich in potassium. This mineral is responsible for balancing fluids within the muscles and in your body. Folate is responsible for developing the neural tubes and the nervous system of the baby. It is one of the important elements for the mental development of the fetus. Pomegranate is a good source of folate, hence it is beneficial for expecting mothers. If you have gestational diabetes, you should avoid pomegranate juice as it has high sugar content. In case you already have low blood pressure by consuming pomegranate juice you run the risk of your blood pressure dropping too low. If you are due for any surgery, it is advised to stop taking pomegranate juice two week prior to the operation. Pomegranate might interfere with blood pressure control during and after surgery. It is not safe to eat pomegranate extract as it may contain portions of rind as well. Instead, you should always opt for pomegranate juice or seeds. Instead of buying pomegranate fruit juice carton from markets, make your own fresh juice at home. Once the juice is processed and pasteurized the Vitamin C gets broken. You may not get as many benefits as in fresh pomegranate juice. Use pomegranate juice to make mocktails and pop sodas. Use pomegranate seeds in different salad preparations – fresh fruit salads, Russian salad, and vegetable salads all taste delicious with pomegranates. You can also add it to your favourite “chaat”. You can also mix them with your breakfast cereal, corn flakes, curd, or muesli.